PGT-Reclaimed. 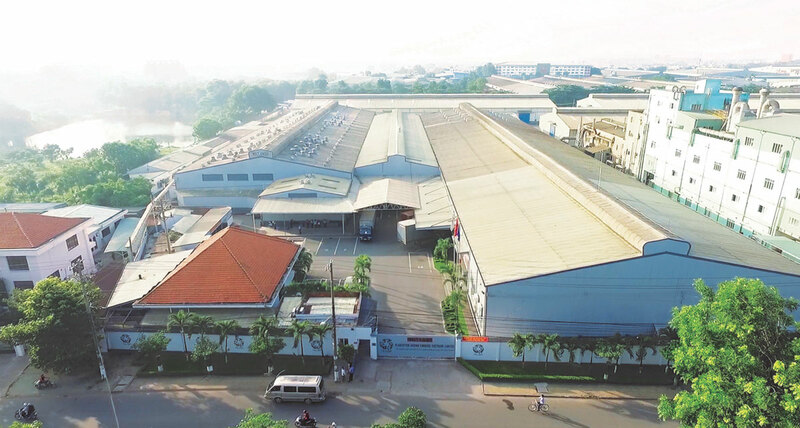 Currently employing 700 people it is regularly inspected and found to be one of the best factories in Indochina. Every one of our products is designed never to go out of style, built and finished with longevity in mind. Our timeless designs, inspired by historical and cultural references from around the world, are constructed with classic joinery and finishing skills to remain strong and beautiful throughout their lives. A team of highly trained Quality Control Inspectors is on the floor of the factory throughout the day, ensuring that every stage of the process and every part of every product meets the highest possible standards of craftsmanship and finish. Practices like drying timber before processing and using timber in back panels and on the bottom of drawers increase our production costs hugely, but ensure the quality and longevity of the final products. 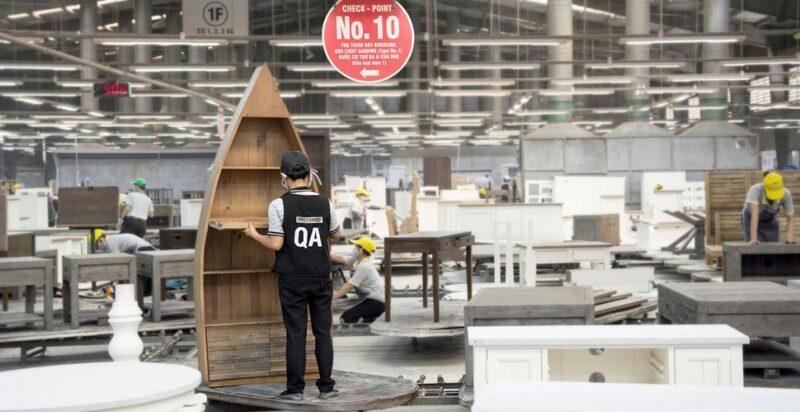 “Commitment to quality” is our motto, which is why we have fifteen quality control points and hold quality control classes every month to ensure everyone in the factory is creating the best possible products. We believe passionately in traditional, labour-intensive methods of joinery such as dovetail joints and tongue and groove, with no short cuts regarding standards of workmanship. But we stay ahead of the game when it comes to staff training and development, the design process, the materials, finishes and construction methods we use. The finish on every individual piece is everything and all our craftsmen work alongside the quality control team to ensure that each item is as perfect as it can possibly be before leaving the factory. We use no robots or toxic lacquer finishing materials and we have changed from using beeswax to water-based finishing materials. Each finish requires many steps in order to achieve the effortlessly natural patina that we are known for.